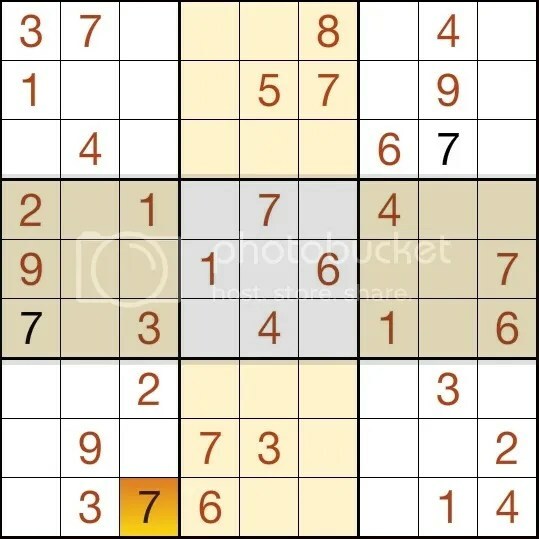 Sudoku is one of the most popular paper puzzles in the history of puzzling, perhaps the only puzzle to rival crosswords in the hearts of solvers worldwide. That being said, I frequently encounter people who have either never tried to solve Sudoku puzzles or had a dismal first showing that dissuaded them from trying again. 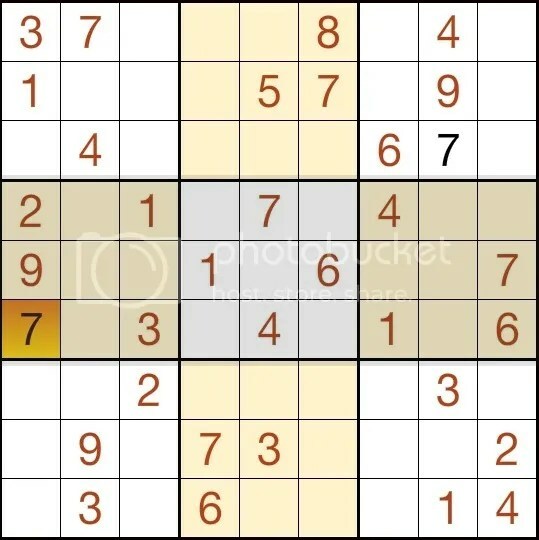 And today, I’d like to reach out to the Sudoku disenfranchised out there with a PuzzleNation How-To. 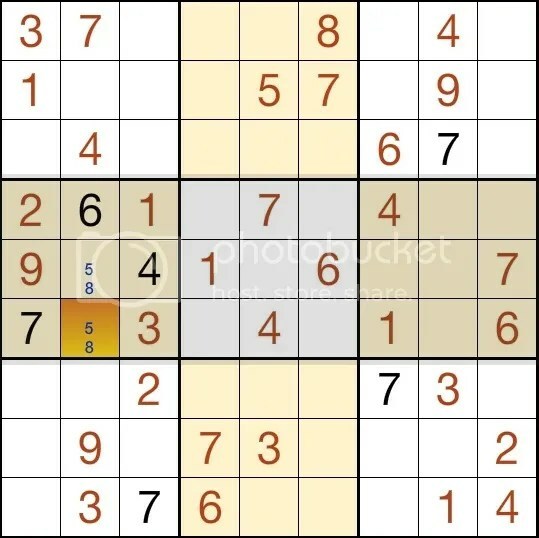 How to solve Sudoku, to be specific! 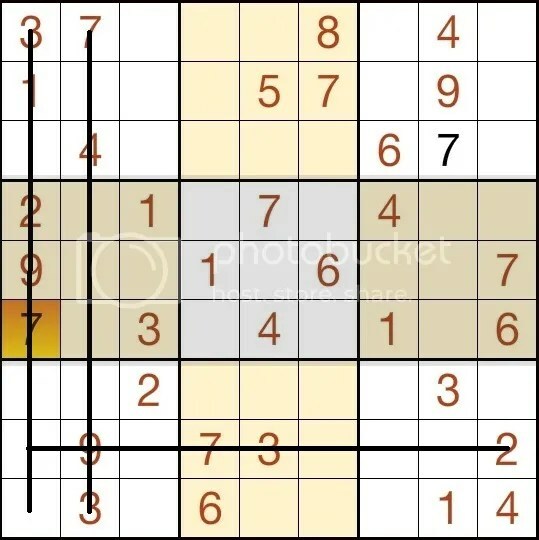 The rules of Sudoku seem simple enough. It’s the solver’s job to place the numbers 1 through 9 in every row, column, and 3×3 square in a 9×9 grid. 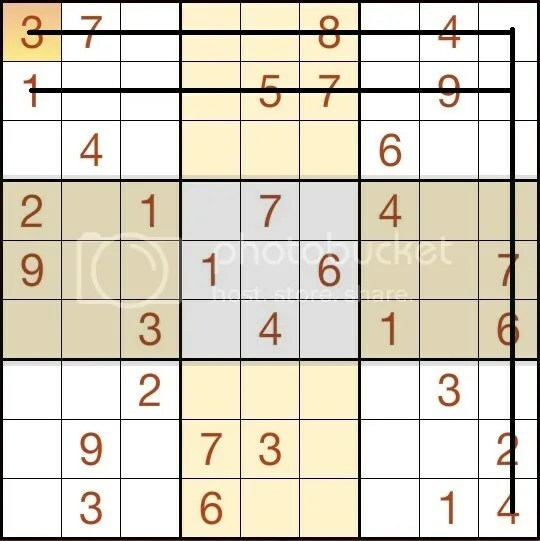 Sudoku puzzles come in all sorts of sizes and difficulty rankings — most of which are dependent on where numbers are set, how many are set, and what numbers are set — and the placement of set numbers often adheres to the same diagonal symmetry as black squares in crosswords. Let’s look at a sample puzzle, shall we? 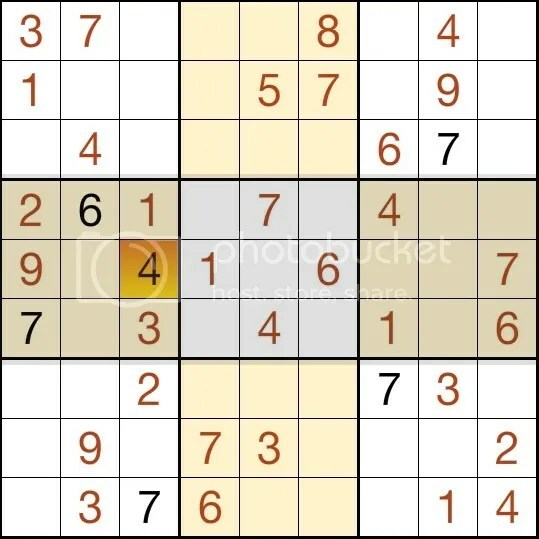 The best way to start a Sudoku puzzle is to scan for numbers that appear most frequently, since they’ll offer more hints pointing toward where to place other numbers. For instance, we’ve got a 7 in the top left-hand 3×3 grid (on the top row) and a 7 in the top center grid (in the middle row), so let’s try placing a 7 in the top right-hand grid. Since a number can only appear once in each row, column, and 3×3 grid, we can draw imaginary lines crossing out the open spaces in the top row, the middle row, and the rightmost column, leaving only one space remaining where the 7 could possibly go. 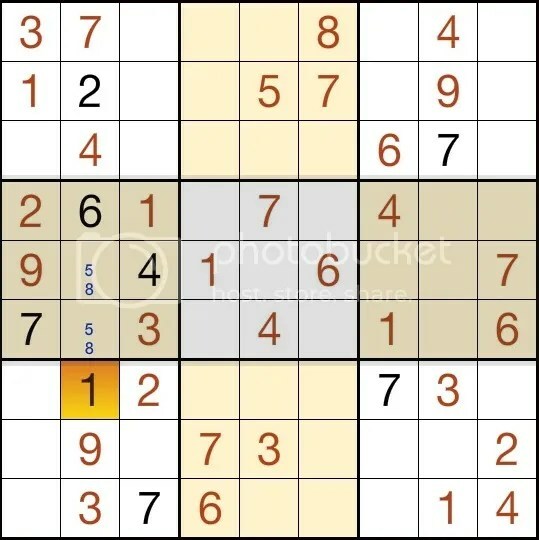 Let’s continue with 7s and see if we can place a 7 in the middle left-hand grid. Between the 7s in the top row, the middle row, and the second column from the left, there’s only one open space for that 7. With this new 7 in place, we can also determine the 7 in the bottom left-hand grid. Our new 7 eliminates any spots in the leftmost column, and the given 7s in the second column and the middle row eliminate all possibilities but one. 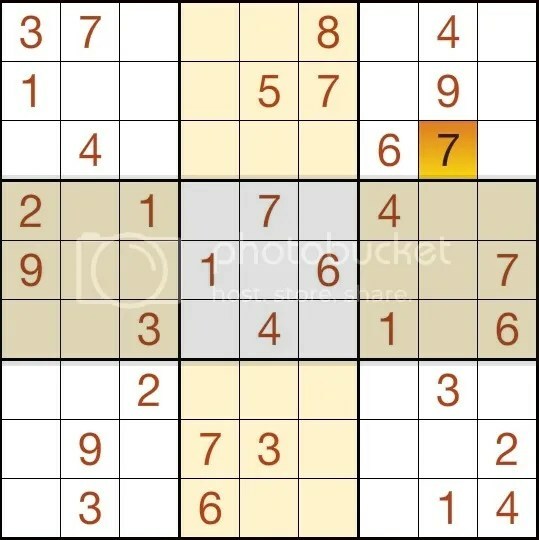 With this new information, we can place the last 7 in the bottom right-hand grid. Focusing on one number can deliver a lot of new information early on. 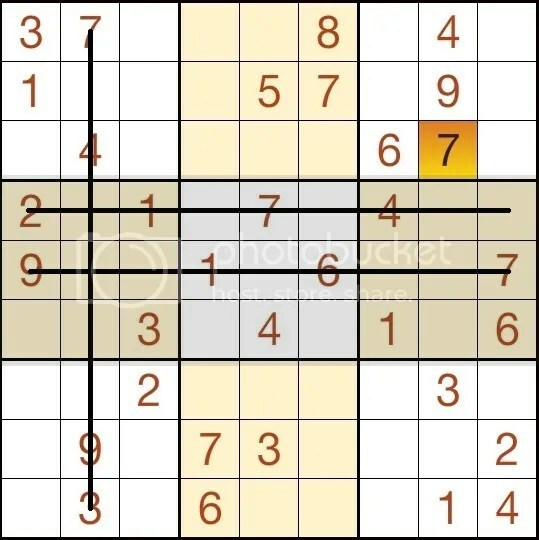 Now, after filling in a few more numbers, we can move into more of the deduction aspects of Sudoku solving. Look at the middle grid on the left-hand side. 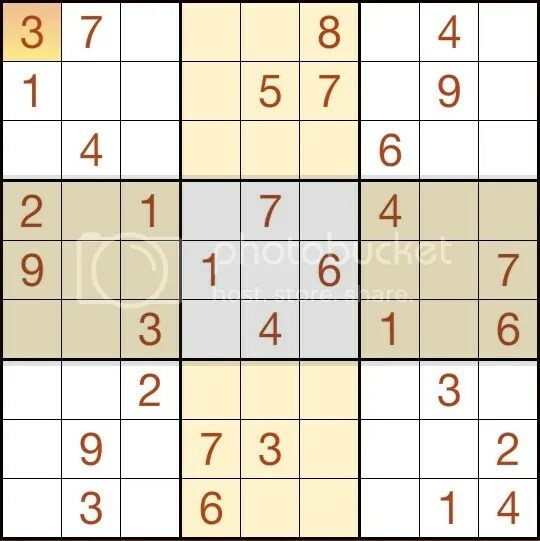 There are only two numbers missing from this 3×3 square, the 5 and the 8. While we don’t have enough information to place them, this box can help us place numbers in the top and bottom left-hand squares. The second column has four numbers missing — the 1, the 2, the 5, and the 8 — and we know the 5 and the 8 will be in that middle grid. This means that there are only two options for the 1 and the 2, the top left-hand space and the bottom left-hand space. And since there’s already a 1 in the top left-hand square and a 2 in the bottom left-hand square, it’s easy to place our numbers. 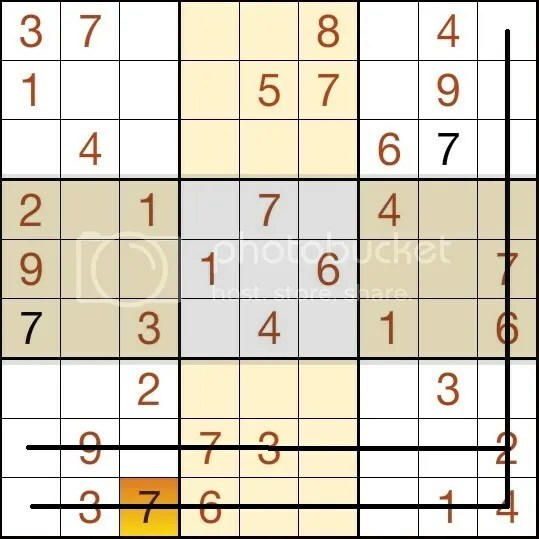 That sort of deduction can be extremely helpful when it comes to harder Sudoku puzzles. Here’s another example, a little farther into our solve. In this case, we’re going to try to place a 3 in the center 3×3 square. We know from the placement of other 3s in the grid that the 3 cannot be in the bottom row or the middle row. Unfortunately, we don’t know which of the open boxes in the top row will hold our 3. 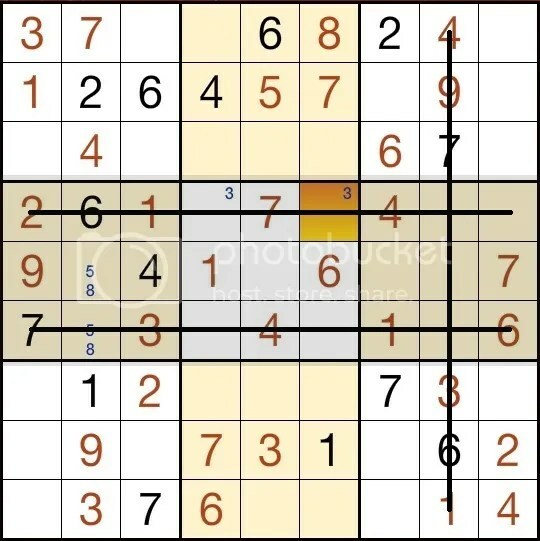 But, thanks to this information, we can place the 3 in the middle grid on the right-hand side. Here’s the grid with the 3s we know for certain. Since we know the center square’s 3 will occupy one of two places in that top row, we can also eliminate that row from the possibilities for the middle grid on the right-hand side. We can now place the 3 in the remaining square, and move forward with our solve. 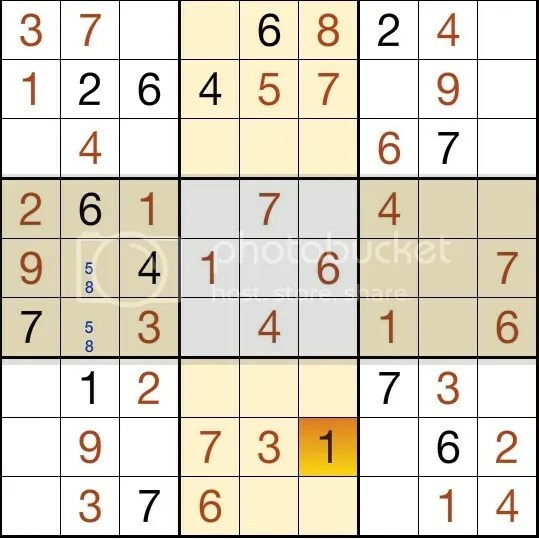 From this point onward, you’ll be able to fill the entire grid with ease, adding the first of many vanquished Sudoku puzzles to your solving experience. I hope you found this PuzzleNation How-to helpful. 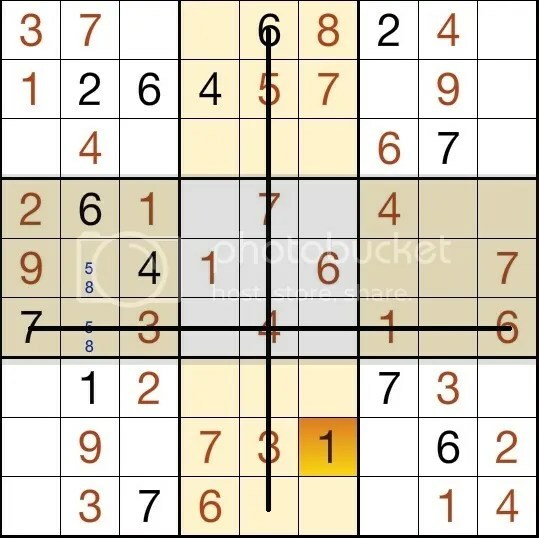 All of the graphics came from our Classic Sudoku app, now available for the iPad! This entry was posted in PuzzleNation, Puzzles and tagged Announcements, Classic Sudoku, Dell Magazines, games, Geeking Out, Howard Garns, iPad, number place, Penny Press, Penny/Dell Puzzles, Pop culture, PuzzleNation, Puzzlin' fool, Sudoku, To the Nines by gmdirect. Bookmark the permalink.